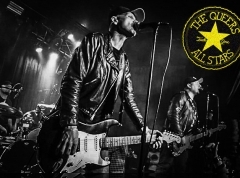 Contemporary forms of metal have always had difficulty getting a foothold in Denmark, but over the last few years, the emergence of the Prime Collective — which books, manages and facilitates record deals for young and aspiring artists predominantly within the ‘core’ movement — has paved the way for those subgenres to flourish in a notoriously traditionalist scene. One of the bands to make their mark this way is CABAL, who caught our attention already in 2016 with their excellent début EP, “Purge”, pulling deathcore down into the depths of hell with their eerie and astonishingly heavy take on the genre. On this first full-length album, “Mark of Rot”, the music takes an even darker turn, tapping into the nightmarish soundscapes of Vildhjarta and salvoing them with a barrage of gorging djent riffs to create one of the most devastating albums you are likely to hear in 2018. Instead of variety, the band chooses bludgeoning and it actually works well for them. Granted, it is somewhat difficult to distinguish one track from the next, but on the other hand, every one of them elicits the same bewildered reaction. CABAL’s music just sounds so brutal and malicious, as though the band had snatched some demos from Meshuggah, slowed them to a crawl, and mixed them with the drama of symphonic black metal. “Rah’ru” is a prime example, deploying an ominous, orchestral intro segment to build tension before Chris Kreutzfelt and Arsalan Sakhi start to hammer down chug notes with their drop-tuned axes, and Andreas Bjulver Paarup lets loose his sulphurous growls. Indeed, samples play a crucial role in CABAL’s largely avoiding the most cliché deathcore tropes, bestowing the likes of “False Light” and “Unworthy” with an even direr atmosphere than what the bleak staccato riffs and merciless polyrhythms already produce on their own, and tying the album together around a feeling of perpetual disquiet. All of this is likely to sound pretty familiar to fans of Vildhjarta, even if CABAL’s expression admittedly is much blunter, devoid of any experimental or progressive frills. Simplistic though the style presented on “Mark of Rot” is then, it has earned the Copenhagen-based outfit a handful of notable admirers, not least Chris ‘CJ’ McMahon (vocalist of Thy Art Is Murder) and Filip Danielsson (frontman of Humanity's Last Breath), both of whom make guest appearances on the album on the tracks “Nothingness” and “The Darkest Embrace”, respectively. In honesty, their presence is not very strongly felt, manifesting itself merely as sections of layered growling that, at best, inject a bit of additional oomph to the existing level of brutality. But the willingness of a deathcore heavyweight such as McMahon to lend his name to the credits nonetheless underlines the respect that CABAL has earned within the genre already. Alas, there are only so many synonyms for the adjectives ‘brutal’, ‘eerie’ and ’heavy’ in my vocabulary, and as such, this review must be brought to a conclusion. 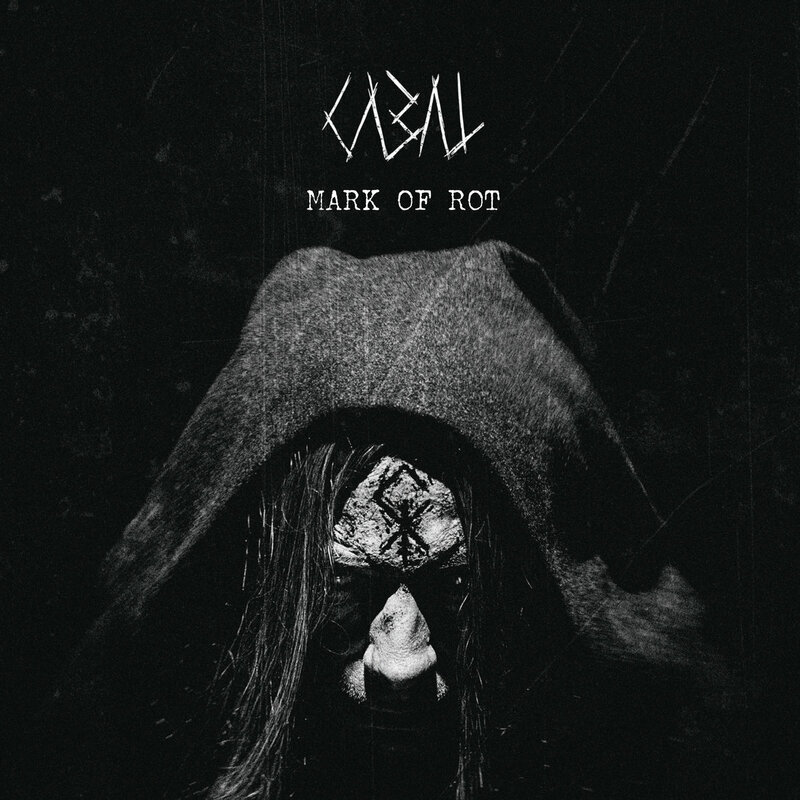 The point is that while CABAL are not exactly reinventing the downtempo wheel amongst the likes of The Acacia Strain and Whitechapel, “Mark of Rot” nonetheless delivers a strong entry into the beatdown worship scene and even manages to cause some ripples there with its embracing the theatrical side of things as well.